38 people think this report is great. 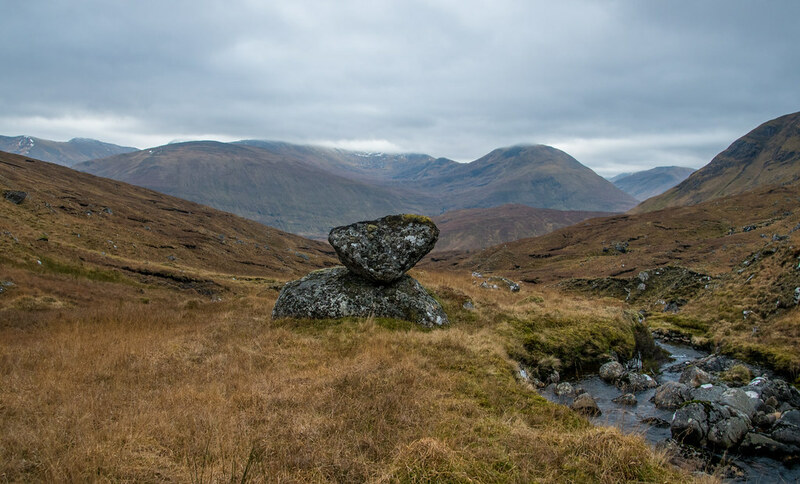 My “journey”, in writing Walk Reports for each Munro outing has taken vastly more time and commitment than I anticipated back in 2015. 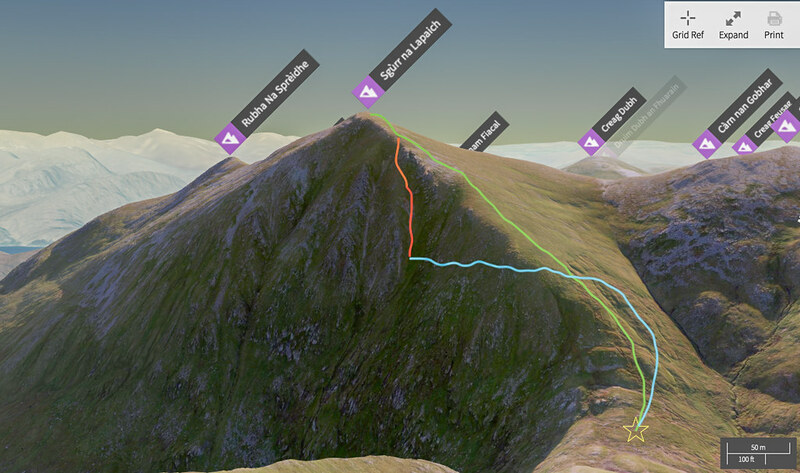 I often wonder if setting this as an objective so early on has made doing the Munros in some sense harder. Does taking the easy route make for a less interesting walk report? Hypothetically of course, let’s not get into that debate. In reality for me it is probably more down to my personality in enjoying making it as difficult as safely possibly. Also, I can’t think of any concrete examples, but I would imagine that there have been occasions where I have written these Walk Reports instead of getting out walking because the weather has been uncertain. Either way I have come to the conclusion that I will continue to have a love / hate relationship with Walk Reports until I reach the “end”, but more often than not I look forward to writing them, sorting out the pictures and messing about for an obscene amount of time with BBCodes from Flickr! This on the other hand is the only Walk Report I have been dreading. Literally losing sleep over it. I did consider not writing the report, fuzzing over the details, or making it up completely – as it was a solo outing, who’d ever really know? Effectively, this is my account of me making 3-4 mistakes in a row which, as I am writing this clearly didn’t lead to a disastrous ending. One thing is for sure, I won’t over dramatize or glamorise – I will stick to the facts, at least as best as I can remember them. 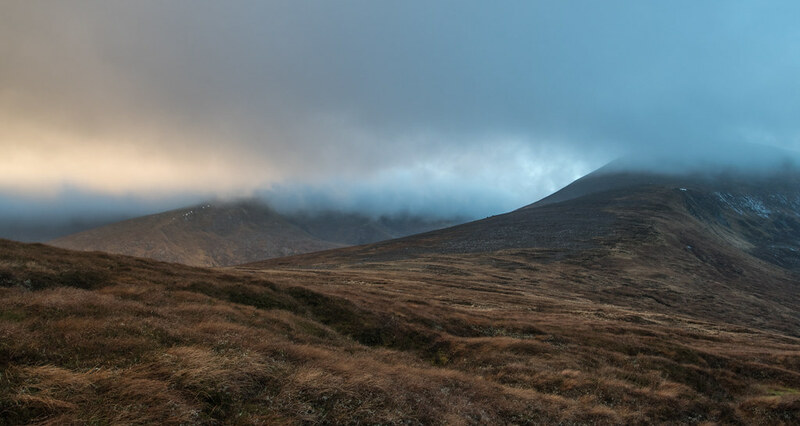 It all started off with a weather forecast rumouring the potential for a Northwest Highland cloud inversion. Jackpot, I thought. 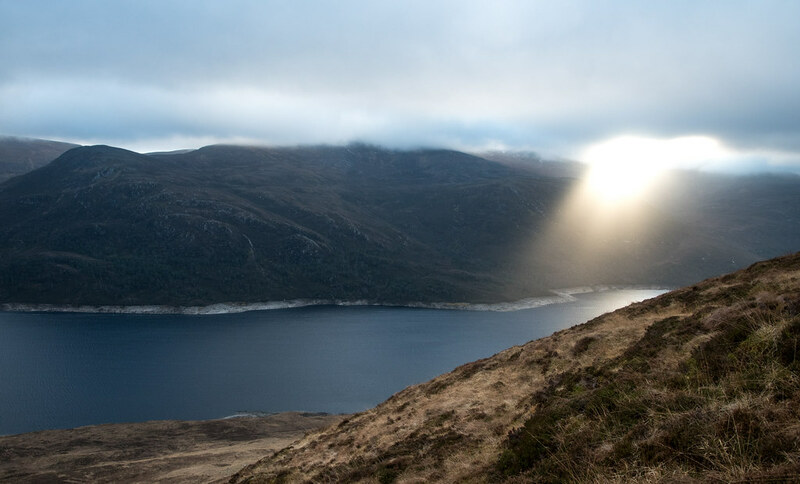 I shall head to Loch Mullardoch and hopefully wake up above the clouds. 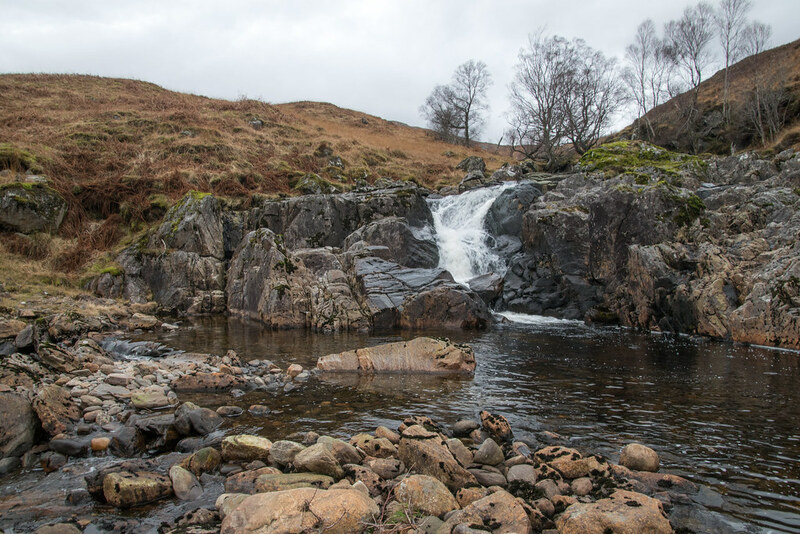 I am not entirely sure why I picked Loch Mullardoch, maybe because I had already attempted the route but had to bail out early due to injury of my walking partner, so at least I knew where I was going and took away most of the stress of getting there. My plan was originally to do the 4 on the north side of the Loch and camp on the summit of one of the first two depending on my progress. It was the 4th of January and I arrived about half an hour later than I planned, mainly because I just couldn’t get out of my bed in Aberdeen. This didn’t seem like a big issue, but it probably was a contributing factor. 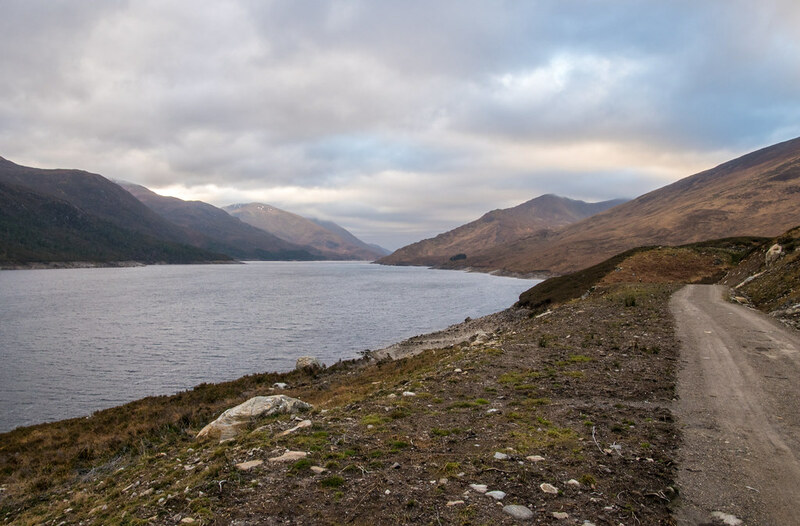 I set off from the car at 14:00 and made reasonable progress along the windy side of the Loch. I was already aware that the trundle up towards Mullach na Moile was a bog-fest and unrelentingly steep, but I hadn’t remembered it being this physically demanding. Possibly the after effects of eating and drinking in excess for the previous two weeks. 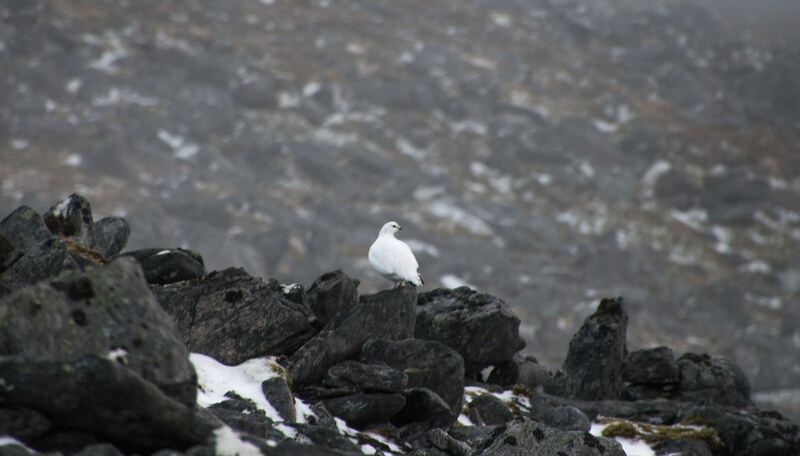 I had reached the summit of Carn nan Gobhar, my first Munro of 2019 by 16:39 – this took more than 4 days longer than 2018! Obviously by 16:39 it was starting to get dark. The summit of Carn nan Gobhar was perfectly flat and I am sure there would have been many great places to camp but it was only 993m. Sgurr na Lapaich, only a short distance away was 1150m. I somehow managed to convince myself that that 157m difference could be the difference between opening my tent in a cloud to opening my tent above the clouds. Now, I honestly can’t remember timings but I do remember making good quick progress up Sgurr na Lapaich but it was getting increasingly dark. As my eyes adapted to the continuously reducing light it almost meant I didn’t notice how dark it had truly become. On two or three occasions I started to feel a bit uneasy and thought about pitching the tent. There were a few flat(ish) snow patches that would have worked well. I stuck by my original decision that the 157m could make the difference, I should have admitted defeat. As I reached the summit of Sgurr na Lapaich I was now under headtorch and the wind had picked up massively. I barely touched the summit before retracing my steps by about 20 meters in the hope of pitching my tent. This is where I started to realise I had made a few bad decisions. The ground was soft(ish) on Carn nan Gobhar, but that 157m had indeed made all the difference, a bad difference! I knew, but had somehow forgotten, that my tent needed to be well pegged in, it was super lightweight and not remotely freestanding – Terra Nova Laser Photon 1 (belter of a tent (in summer!)). I took my winter gloves off and tried to get the groundsheet pegged in. Unsurprisingly the pegs wouldn’t go in more than 1mm. Duh, the ground is obviously frozen, it was the 4th of January after all. I did try and get a rock to try hammering in the pegs, but again all the rocks were frozen together. I think this is where I began to lightly panic. 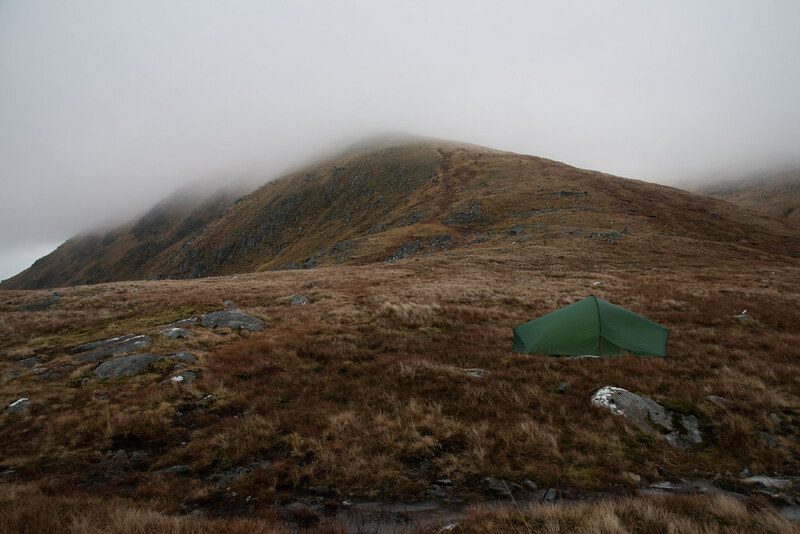 From looking at the ground to try and peg the groundsheet to looking up it had turned pitch black, I was in a cloud, it was windy, cold and I knew I would need to get down a good few hundred meters before I could even reconsider pitching my tent. Annoyed, I rammed my camera and tent back into my bag and decided I would try and descent to Bealach Toll an Lochain rather than retracing my steps any further. I took a bearing, one I was completely confident would take me safely down and began to follow the, now glowing in the dark compass. My hands were too cold, and I didn’t want to waste any time double checking my bearing on my GPS device of phone, which in any uncertainty I normally would have done. I’ve always carried a map and compass and I am confident in using them (before the map & compass brigade begin their attack). This was quite possibly the first time I felt my navigation was pressurised. No matter how often I had taken bearings or how many navigational refresher training courses I went on, nothing could replicate this pressure – I’d liken it to taking a penalty in the World Cup vs the training pitch. Anyway, for some completely unbeknown reason I lost my faith in my own navigational skills. Not entirely sure why because I have 20+ nights alone in the hills and countless hours of night navigation. 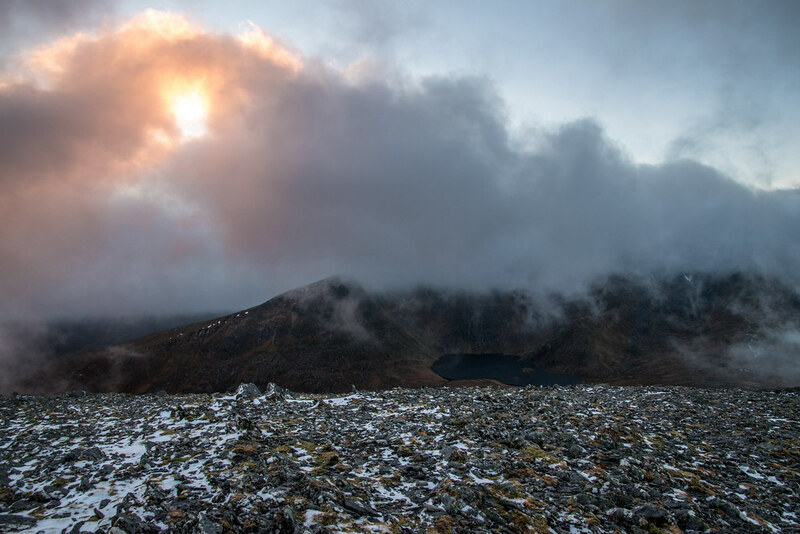 I began descending with near zero visibility in the thick cloud following the bearing pretty uneventfully, until the clear and obvious path went in a more westerly direction than I had expected. My decision was to follow the clear and obvious path as it was always going to lead safely down somewhere, rather than getting the map back out and double checking my bearing. I went off my green line which was my intended route and ended up on the orange route. 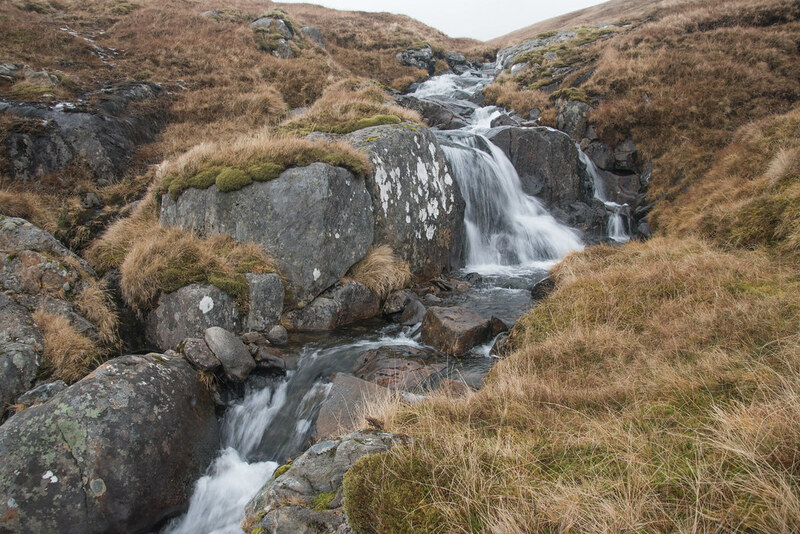 Within a minute or less the path required some scrambling, I realised the clear and obvious path may actually have been a frozen stream and I needed to get back onto the more gradual slope. Instead of taking it slowly I tried to rush, when in hindsight as long as I was moving I was warm and getting down in 30 minutes or 3 hours wouldn’t have made any real difference. It was insanely icy, and that was when I slipped. I fell onto my back and slid down on my back for a solid 5-6 seconds. It was steep, so I have no idea how I didn’t end up flipping over or jarring a knee or worse, but those 5-6 seconds felt like ages. It may not sound a long time, but it is amazing how quick your mind travels. My two thoughts were, my parents are going to be so annoyed if this doesn’t end well and I wish I had bought my girlfriend more flowers instead of complaining that they are a ludicrous waste of money (which maintain that they are) – what a bizarre thought! I managed to grab hold of a solid rock and stop myself, before taking a seat on a giant sturdy boulder and took my bag off. I wasn’t sore but was massively annoyed with myself, truthfully quite scared and really just wanted to be safe in my tent. I decided I would tempt fate for some good luck and promised if this all ended well, I would go against my better judgement and get some flowers on the way home. Raking through my bag I got out the GPS and confirmed I was exactly where I expected I was, which made me even more annoyed that I had doubted my original bearing and realised I had managed to fall an impressive distance and now had a pretty big mission to get back to safety. I did consider if it would be better to spend the night here, but I had no phone signal and I hadn’t taken emergency shelter. This was another lesson learnt. I always take emergency shelter, you know the £4 bright orange bag, unless I have my tent. My assumption has always been even with broken bones, I could somehow pitch the tent. I think from now on I will just carry the bivvi bag as well as the emergency shelter anytime I am alone. I made the decision to carry on and took the blue line in the above photo which wasn’t too steep but there were a few very nerve-racking minor slips, my legs were exhausted and jelly-like – I was worried I was actually injured but just unaware because of the adrenaline. Eventually I reached the bealach and was delighted to find the ground was soft enough to get my tent pitched. I very slowly pitched the tent and got my mat and sleeping back out. It seemed remarkably peaceful in comparison to the wind at the summit and it was quite a comfortable pitch on the half frozen boggy ground. I slept right through until my alarm at 06:00, a quick look out I realised I was underneath the thick clouds – even more annoying! Still exhausted both mentally and physically I went back to sleep until 09:30. 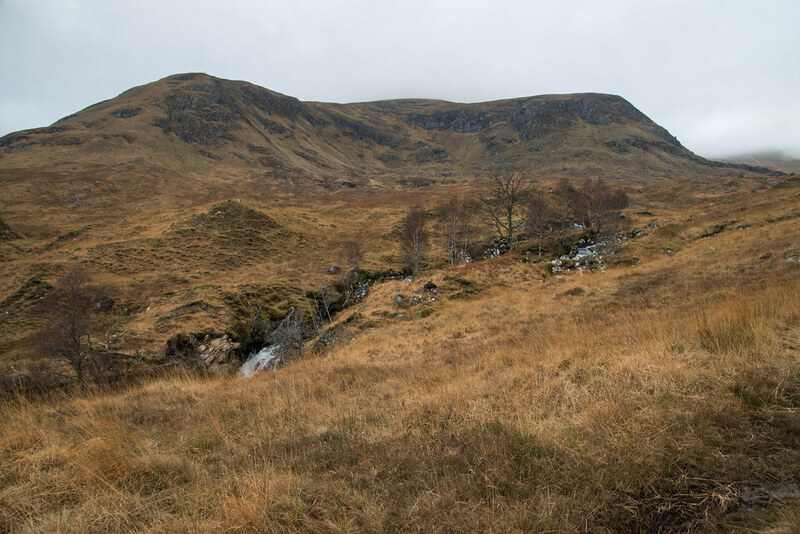 The question of completing the other two Munros were well and truly out of the question, I had already decided before falling asleep I just wanted off the hills and would follow Allt a’ Gharbh-choire back to the Loch side. It didn’t take long to get down to the Loch but my back was beginning to feel ever so slightly uncomfortable and the route along the side of the Loch was awful. It seemed to take forever! The walk felt like a walk of shame, I was annoyed and disappointed that I had made so many errors, some small, some big, to end up in that situation – I had always been confident it’d never happen to me, I’m sensible. Maybe that is the biggest lesson. The walk along the side of the Loch took hours and I can’t remember exactly when I got back to the car, but it was the only car in the car park. I now still have a number of Mullardoch Munros remaining, so I guess I will end up back in this car park at some point in the future, but hopefully for a more successful and less eventful outing! Maybe I will try a complete Mullardoch round to defeat this. Driving back was uneventful, and yes, I did stop for flowers and tentatively explained why they had been bought – obviously didn’t want to risk fate for my next outing. In the weeks after this walk my thoughts are still mainly annoyance at myself. I have lost an astonishing amount of sleep considering I sleep like a log normally pondering “what if”. Thankfully everything worked out okay in the end, I managed another night out in the hills, all my kit survived (phew! ), and my girlfriend got some flowers! 1)	Winter doesn’t necessarily mean snow. One decision I made that wasn’t a mistake was going alone. My outings have ranged from being with a variety of others to walking alone, and I have realised the importance to every so often get out alone. With, or without others have a unique set of pros and cons but walking and spending nights out on the hills alone is, and will always be one of my favourite type of outings. 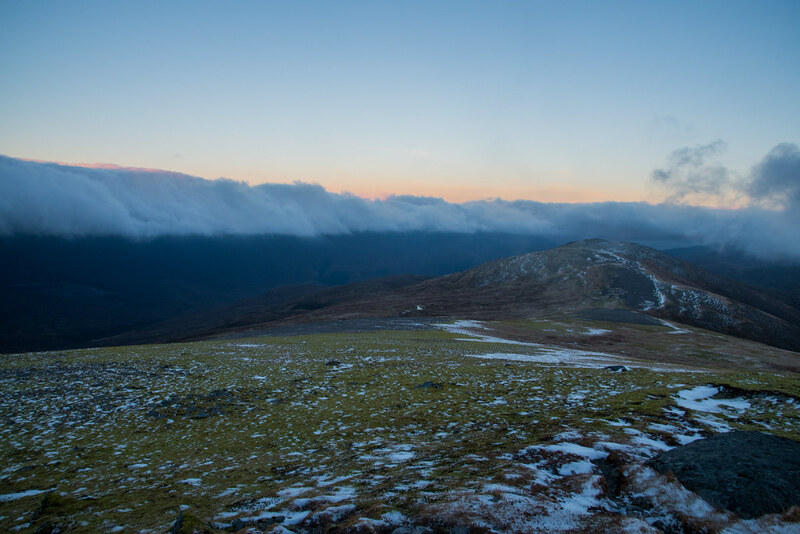 As a bit of spoiler thankfully my next Walk Report will be from a successful high winter sunrise camp from Beinn Dubhchraig near Ben Lui! Thanks for posting this Andy and firstly I'm glad that you were about to be able to post this report at all. A few years back I had my own benighted experience which, while not as traumatic as yours, left me with similar emotions at the time. I was chasing Munro #7 on the South Glen Shiel ridge at the time and had to deal with a slow descent into Glen Quoich in thick mist, and then a long walk back to my car knowing MrsR hadn't heard from me for a few hours (nor would she for a few hours more until I was back on the main road). Time seemed to move nearly as slowly as me, but in my head I knew I would be ok, even if MrsR was probably going nuts. I can certainly appreciate your reluctance to post this account though, as it might be easy for others to judge. Hopefully most, if not all, of those on here appreciate that mistakes can be made. So long as we learn something from them and do what we can not to repeat them again (alternatively we may be better prepared if there ever is a "next time"). There have been a few walks I've been on where I have had to choose my words carefully so as not to give the impression of irresponsibility - especially when descending off a hil It's just as important that we share these types of experience as we do pretty pictures on a benign sunny day (not that those days aren't great too). I'd definitely agree with you that it's important to take your time when you find yourself in difficulties. I've certainly found that has helped me on a few occassions, just to sit down and take stock before making my next move. Two initial thoughts on a compelling read. First, I wonder how many of us will have thought 'There but for the grace of God...'. I know I do. Not identical circumstances perhaps but a situation where a sequence of mistakes become compounded by each other. Second, I think you do a valuable service to readers by posting with such frankness and honesty. There's as much to be learned from reports like this as any other. Probably more. In any case, glad you made it out the other end ok. And hope she appreciated the flowers after all that. What a great honest report, it is never easy admitting mistakes. Having compiled quite a few reports over the years I know exactly how difficult it is to try and describe the events and carefully select your words. Hopefully some of us can learn from your exploits, I am not a camper so an overnighter on a hill is not on my bucket list. Thanks for posting and I am with you on flowers - expensive luxury, but am sure they worked. Reports like this one are helpful in causing the reader to pause for thought. Could easily have been much worse, given the "route" you ended up on - a very helpful graphic, by the way, in following what happened. As often seems to be the case it's a series of lesser errors that culminate in the bad things happening. Like you I don't carry a shelter if I've got a tent in the pack. It's a thought (although it's also extra weight and space). Thanks for posting such a gripping tale, and being honest about the errors you made - that's how we learn (if we are still able to learn, I guess). Thank you for sharing. Quite an adventure, and a really well written report and self-analysis that might just make a difference to one of us one day. Good write up there Andy. Few lessons to pick up out of that one. Sweaty palms just reading it! Kudos for sharing and getting down calmly and safely though. I think you're absolutely right that the biggest mistake of all is to imagine that "it can't happen to me", to which I'm sure we are all prone. I'm reminded of the tragic fate of Andy Nisbet and Steve Perry on Ben Hope recently - two of the most experienced and talented mountaineers you could think of. Luckily the outcome for you was a happier one, but I guess the thought that niggles is that it might not have been. Seems to me you were lucky to get away with that slip on the steep, icy slope! It occurs to me also that the initial framework for the errors of judgement was a preconception of how conditions would be (temperature inversion) compounded by the desire for that preconception to be right. How often have we been caught out by a promising weather forecast that has turned out to be dangerously misleading (or just downright erroneous)? It often irritates me that a lot of mountain safety advice places so much emphasis on checking the forecast. Wiser advice would be to treat any forecast with a pinch of salt and, in winter at least, always be prepared for the worst conditions. In your case it was the desire to take advantage of an expected temperature inversion that affected your judgement and, when it failed to materialize, led to the unfortunate sequence of errors. But it's notoriously difficult for us to temper our desires with an adequate dose of sober realism. Once again, great report - and congrats for having the courage to post it! Great report, Andy, and a good lesson to all of us, however experienced. That slide must have been absolutely terrifying - that's a hell of a steep hillside! (BTW the marked up picture is really helpful in envisaging the sequence and location of events ). As Dav2930 says (to paraphrase), once you've got a goal in your head, it's easy to persuade oneself that even if the weather changes, you'll be OK. I've done this far too often - "...it's notoriously difficult for us to temper our desires with an adequate dose of sober realism". As regards shelter, I started off some years ago with the proverbial orange plastic emergency bag - about 200gm - which I always took with me, summer or winter. Then I saw and bought a silvered reflective bag - same weight. And most recently I bought a breathable bivvy bag for summer bivvying, also 200gm. So one can have an emergency bag without adding too much weight to one's pack. Aye been there and slipped luckily only a burst nose in the Coire Tullach on Buachaille Etive Mòr and in daylight. All because i was to lazy to put on the crampons , lucky i had the ice axe out ! . Wow, a riveting read! And it dredged up long repressed memories of similar events that could have easily had tragic outcome. We've all been there, navigating in the dark or the mist, trying to trust our compass, but preferring to trust our eyes and cling to a faint (or solid) path underfoot, even if we can't see where it leads, thinking it must go somewhere, and its easy to mistake something for a path, when your eyes are looking for it. Great report and one that is worth sharing more than most. The other thing I've done oh so often is to trust instinct rather than the compass - and of course, instinct is always wrong. Hhhmm - not sure I agree with this. On numerous occasions in bad weather I've walked on a bearing only to walk into trouble. The problem on some hills is that you need to walk on a general bearing over a distance, which on rocky terrain where you have to weave left\right, can be easier said than done. In most cases you're right but if you don't know the lie of the land trusting the compass can lead to difficulties. What a very honest trip report,glad you got back in one piece to write it. Appreciating late starts can mean a dark finish, that in itself isn't such an issue, as you say you are confident in your navigation, although those of us who are, can be 'fooled' into disbelieving the relative instruments, I guess we still think we know best, despite the Earths Magnetic field, being around long before we came along. I know most of us are chasing those great days out where everything goes right, but I have found that the stories where everything goes sideways are much more entertaining to read, while giving better food for thought. Kudos for having the courage to post this, and I'm glad everything ended safely!